In 1938 Larry was born in his grandmother’s tiny and humble Southern California home. 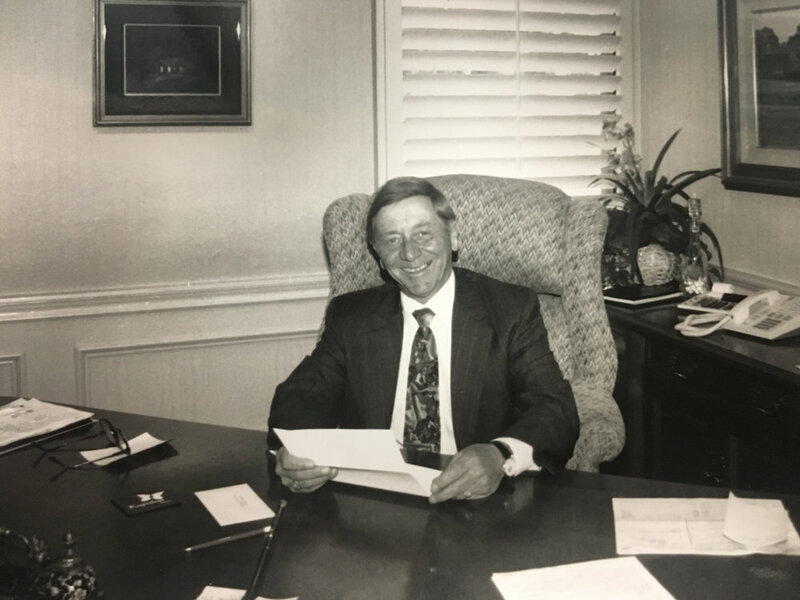 With the passing of his father at the young age of eight, Larry’s mother and grandfather took over instilling a strong work ethic in him that he would use to propel him himself up the ladder of life. In 1957, following his high school graduation, Larry found employment as a Production Line Worker with the Pacific Hawaiian Products Company in the neighboring town of Fullerton, Ca. The company needed someone in Hawaii to meet with the farmers, to assure the unique fruits being used to make the company’s products were genuine and fresh, Larry volunteered. In May 1960, a massive tidal wave hit the Big Island that destroyed most of downtown Hilo, Hi including the facility Larry worked in to process Pacific Hawaiian’s special juice. With the strong work ethic instilled in him, Larry was able to acquire a still standing building and quickly get the processing of the company’s key ingredient back on track. The fruit juice that was so painstakingly cared for was, at the time, the little known passion fruit. This was one of the most exotic ingredients Pacific Hawaiian Products used in the original formula for their one of a kind juice drink, Hawaiian Punch. His determination to power through those hard times helped Larry to receive a promotion to Shipping Coordinator, and it wasn’t long after that he was brought into the Sales Department. Hawaiian Punch had quickly become a national brand and Larry Casey was part of a driving force in the sales team for that now timeless brand. With the soaring popularity and sales growth of the Hawaiian Punch brand came more interest, and in 1962 R.J. Reynolds Company came knocking. A deal was struck and Hawaiian Punch was sold to the tobacco giant. Larry continued selling Hawaiian Punch and a lesser known Foodservice product called Quickway, now under the ownership of R.J. Reynolds Company. In 1967 Larry’s ambitious nature was boiling over as he pondered what path he should take to propel himself up the ladder of life. Larry approached the R.J. Reynolds management with intentions to purchase the Quickway brand, which to them seemed like a small fish in their large pond. Larry negotiated a price for the brand and in April of 1968 Larry opened the doors to his first production line. Partnering with his longtime friend Harold Brown, the L&H Products Company was born. Brown would be in charge of Production and Larry would sell the sweet and tangy Quickway product he believed in so much. Quickway was, and still is today, primarily a concentrate product sold to the foodservice industry. Larry saw the popularity of margaritas at different accounts he visited and he just knew he needed to get his product to the masses. With sweet and sour being the key ingredient in everyone’s favorite margarita cocktail, the brand’s popularity quickly grew. Making a margarita from concentrate Sweet and Sour requires several steps; Larry knew this was not a convenient way for retail customers to make margaritas at home. He became inspired to develop a product that consumers only had to add tequila and ice that would result in that restaurant style margarita they had come to love. A margarita mix was formulated with all the key ingredients needed to make a restaurant quality margarita at home. It was a huge success. It was then that the company brand began to expand. 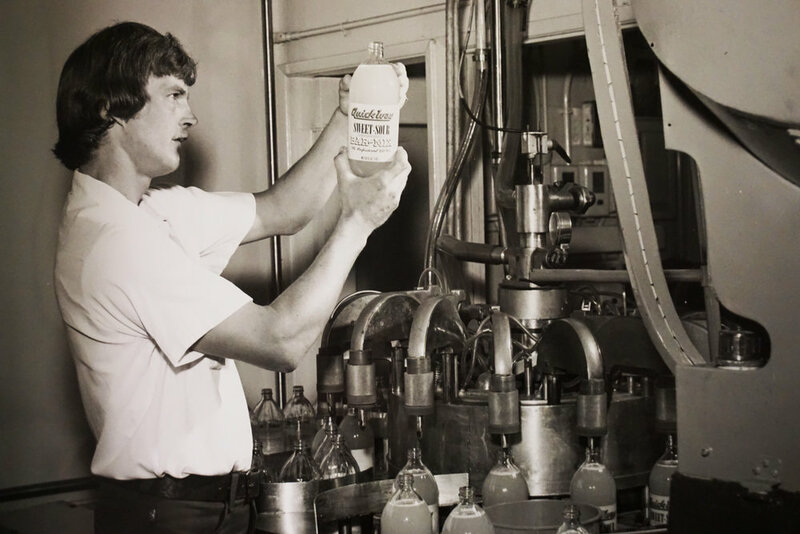 Starting out with only three employees, La Paz focused on a simple foolproof plan, “make quality mixers and then go sell them.” The company continued to grow until the need to expand in 1978 took them from their initial location in Fullerton, CA to their current Brea, CA headquarters. Starting off with only 7 mixes, La Paz Products, Inc. today sells over 60 different high quality products and sizes right here in Orange County. Today, the Casey family and longtime loyal employees are still upholding the legacy and continuing to grow the La Paz Products brand. Now including an ever-increasing private label business, La Paz Products still proudly keeps true to the core business philosophy of quality ingredients results in quality cocktails. Today, Where other rival brands may use HFCS (High Fructose Corn Syrup) La Paz Products is returning to our roots and now producing mixes with the finest sweetening agent of all, sugar. Our company is continually improving, with streamlined and advanced manufacturing practices, now meeting the high demand of the SQF International Food Safety standard (GFSI) and are Kosher certified. La Paz Products, Inc. is a true Southern California original that can now be enjoyed throughout the continental US and Hawaii.